Basic Language Arts Includes two Resources divided into 5 sections. Incorporates approximately 40 skills, ranging from basic sight words and word attack skills to reading comprehension, grammar, composition, and listening skills. 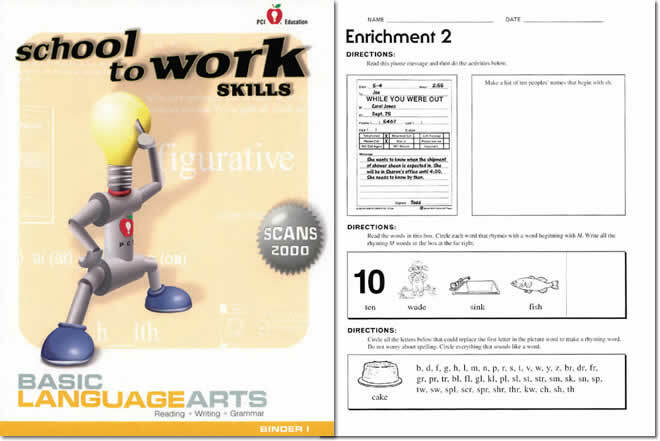 Includes teaching suggestions, skill component worksheets, reproducible drill sheets, enrichment activities, answer keys, and progress charts. Basic Math Includes 4 Resources covering 55 skills, beginning with foundation skills and progressing to basic number operations, fractions, percents, decimals, and basic geometry. 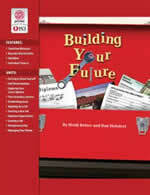 Includes teaching suggestions, skill component worksheets, reproducible drill sheets, answer keys, and progress charts. Working In Teams Includes 1 Resource divided into 2 sections, middle/high school and student/adult transition, with 38 activities in each. The activities in both sections can be easily modified to meet students' individual needs. 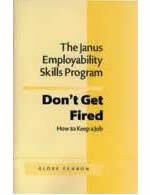 The focus of the activities is on using a team situation to practice appropriate interaction with others. Each activity begins with a teacher planning page and a reproducible team worksheet. Critical And Creative Thinking Includes 1 Resource with a teacher section and reproducible student pages. Students use Bloom's higher-level thinking strategies in a cooperative learning setting to solve over 100 customized, "real life" problems.